Is your dog afraid of gun shots? Do you want to get your dog use to the sound of gun fire? 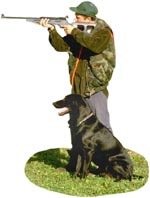 Help desensitize your dog with this digitally mastered audio CD of common noises associated with gun shots and hunting. The CD contains 40 to 50 minutes of sounds.